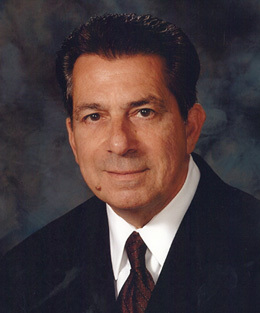 Personal Injury Attorney Vincent J. Glorioso, Jr.
All Louisiana Courts including Louisiana Supreme Court; United States Supreme Court; United States Court of Military Appeals; United States Courts of Appeals; 5th U.S. Circuit; U.S. District Court for the Eastern, Middle and Western Districts. 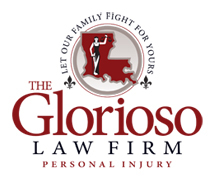 Vincent J. Glorioso, Jr. is a personal injury attorney of the Glorioso Law Firm in Metairie, Louisiana. He represents the citizens of Louisiana in Major Automobile Accidents, Admiralty and Offshore Drilling and Exploration, Product Liability, Medical Malpractice, Workplace Related Accidents and Causalities, Commercial Litigation, and Premises Liability. He began his legal career at Fort Rucker, Alabama as a Captain in the United States Army, Judge Advocate General’s Corp (JAG). In the JAG Corp Vincent served briefly as a defense counsel and then as Chief Trial Counsel, then Assistant Staff Judge Advocate. Within two years, was selected as Fort Rucker’s first Military Judge, Special Court Martial. That appointment made him one of the youngest Federal Judges under Art. I of the U.S. Constitution in the country. Throughout his military service, Vincent also served as special liaison counsel to the United States Army Board of Aviation Accident and assistant trial counsel to the U.S. Department of Justice, Office of the Attorney General on civilian claims. After a lustrous military career, Vincent turned to the civilian world with a concentration on personal injury and wrongful death cases. In addition to his case load, Vincent served as lecturer for numerous law associations and served as an adjunct professor of law at the Loyola School of Law and co-founded Loyola’s first Trial Advocacy Program. He was also on the faculty of the Tulane School of Law Trial Advocacy Program, and a member of the faculty of the National College of Advocacy at Hastings School of Law, San Francisco, California. Today, Vincent works with his two children, Maria and Trey, at The Glorioso Law Firm.